So far, our blog has been rather human-centric. Today, I want to change that by starting a discussion about the intersections of Animal Studies and the American Science. 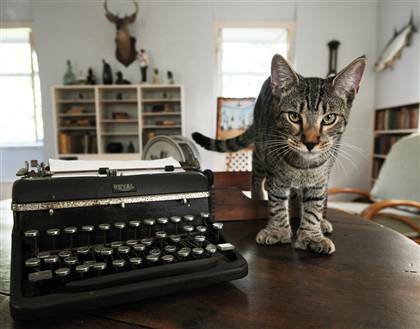 Since I just got back from a little trip to Florida, I’m calling this post “Hemingway’s Cats” in honor of the polydactyl felines that have colonized the author’s old estate in Key West. The image of exceptional, proliferating non-human bodies in human built-environments is evocative (at least to me) for thinking about the ways in which animals inspire, populate, and transmit technical knowledge. I’m particularly interested in animals that resist standardization (unlike Kohler’s flies or Rader’s mice), but which nonetheless become enrolled in scientific projects. One obvious area in which this has occurred is the realm of conservation biology. Here, the privileged animal body is one in danger of being manipulated or obliterated by unfettered human activity. The non-human animal that resists captivity becomes the object of scientific intervention revealing as much, if not more, about human values as about the organism itself. Etienne Benson’s Wired Wilderness is a notable, recent example (see his blog for links to some great bibliographies). And then there are the animal bodies that get frozen — my own area of expertise. I’m fascinated by the way in which overlapping ideologies and technologies of preservation have supported the archiving of extracts of non-human animals for purposes of conservation. Two of the most high-profile sites for such research are the Frozen Zoo in San Diego, CA and the Ambrose Monell Cryo-Collection at the American Museum of Natural History in NYC. I’ve spent time at both collections and believe that they require us to re-think the relationship between certain spaces that support the conduct of American science: zoos & aquariums, natural history museums, and . . . reproductive clinics. (Sociologist Carrie Friese has investigated reproductive cloning for conservation purposes in US borderlands). In addition to tissue and DNA samples, the Frozen Zoo has a massive collection of cryo-preserved gametes from rare and endangered animals . . . a sort of nursery for nature if you will. 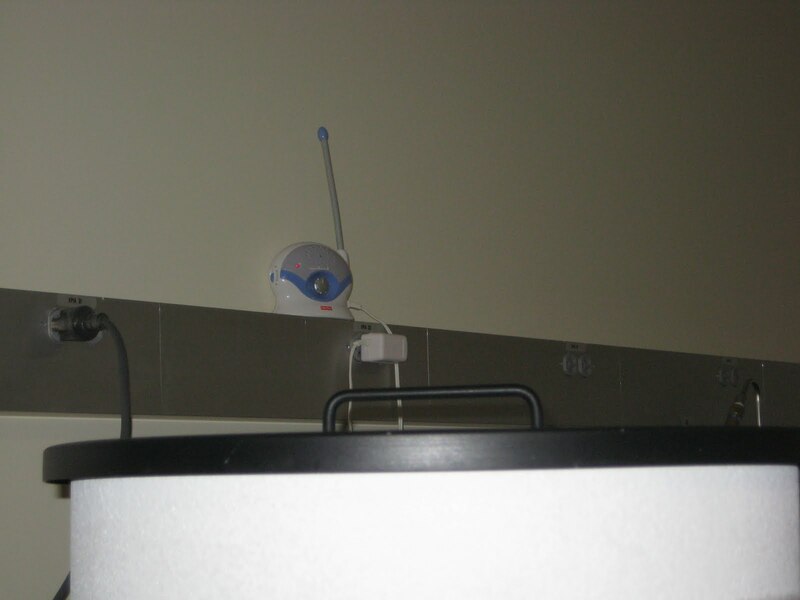 When I visited, I spied this baby monitor in the freezer room — intended to alert lab workers to alarms triggered by power outages. Here, the goal is not — as in industrial agriculture — to breed more standardized livestock. It is to preserve genetic diversity. In this case, the discourse of conservation is combined with that of agriculture and assisted reproduction to promote the preservation of exotic breeds. SVF has actually partnered with organic food co-ops, including one a few blocks from my apartment, to promote a ‘taste’ for these animals. Unlike other animal conservation discourses, SVF reps argue that the best way to ‘save’ genetic diversity is to eat it. A moveable feast? Tell us about your particular species of work and thoughts on animal bodies in American science. This would be a great place to share any resources for those interested in learning more. This entry was posted in animals, conservation biology, Joanna on April 5, 2011 by americanscience. I'm excited to see a post about animals and the history of science. The NY Times “Science Times” two weeks ago, dedicated to animals and science, was a welcome addition to the usual fare in that section- especially because the majority of the animals referenced weekly are either lab animals or endangered species, instead of animals that cross boundaries and are interacted with as both objects of scientific inquiry as well as pets. As I'm starting my dissertation work on the history of aquarium technology in America in the late 19th and early 20th centuries, I'm beginning to see how incredibly difficult fishes are to classify in any given setting and the multiple jobs that they perform. In the same public aquarium, a fish might function as a representative of its species in one tank, an aesthetic filler in another, a representation of a scientific concept in a third, an object of inquiry and research in the aquarium lab and throughout all of this might still be seen by general public viewers (as well as aquarists and scientists- see Powell's A Fascination for Fish for some enlightening ideas about eating one's own mistakes)as being edible and tasty. There is something truly interesting about organisms that can perform the functions of pets, scientific objects, edible resources, aesthetic additions to the home as well as forms of active leisure. Thanks Joanna for the great post! I second that — thanks, Joanna, for an animal-centric post. I also use the various relationships between animals and humans as a window onto different instantiations of value. I'm most interested in the translations these values go through, however, from one social sphere to another (from a 'field site' to a legislative chamber, for instance). In my own work on western hemisphere shorebird research, I am repeatedly struck by how valued standardization itself is. Many wild animals in conservation biology may resist standardization in that they are poor candidates for lab work or captive breeding, but are still very much subject to surveys, tracking, etc. — in short, standardization via statistics. The translation of researcher/wildlife relationships to numbers (population statistics, dollars worth of 'ecosystem services', etc.) is the dominant mechanism by which conservation interventions are planned and justified, for better or for worse…I suspect worse. Very thought provoking post, huzzah for the non-human! Hey S.muka and kwhitney, thanks for the comments. I recall first realizing the complicated nature of human-pet interactions when reading a history of Michigan Agricultural College that listed a barn cat amongst the institution's necessary farm equipment. But now I see that that is nothing inc comparison to the complex of uses for the aquarium fish. And I'm intrigued by kwhitney's insight into the overwhelming standardizing power of statistics to capture even the most recalcitrant species for conservation biologists. In my own work, insurance statisticians pioneered a variety of techniques for standardizing the pricing of human lives, largely for the purpose of what they called “life conservation,” or, in a more familiar term, welfare. I'm adding to this thread to share news about a new addition to the animal studies literature — a special issue of Social Text entitled “Interspecies”. I'm looking forward to reading the articles which cut across species and time periods.